Size* Choose One 14" x 14" 14" x 16" 14" x 18" 15" x 15" 15" x 16" 15" x 17" 16" x 15" 16" x 16" 16" x 17" 16" x 18" 17" x 15" 17" x 16" 17" x 17" 17" x 18" 18" x 16" 18" x 17" 18" x 18" 18" x 20" 19" x 16" 19" x 17" 19" x 18" 19" x 20" 20" x 16" 20" x 18" 20" x 20" 22" x 18" 22" x 20" 22" x 22" 24" x 18" 24" x 20" 24" x 22" 24" x 24"
The JAY® Easy® is a skin protection and positioning wheelchair cushion featuring a hi-resiliency, contoured foam base that accommodates a curved or flat seating surface and JAY Flow® fluid tripad. 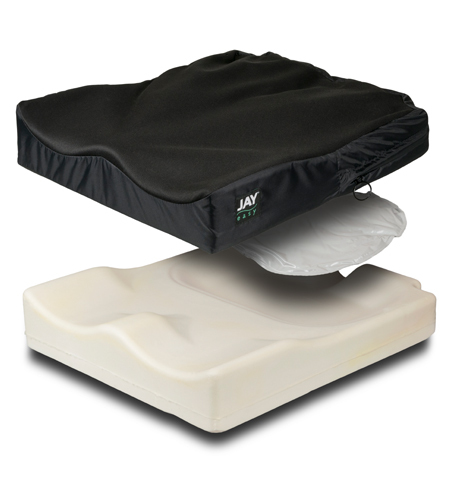 The Easy's wheelchair cushion foam base is moderately contoured to encourage proper positioning of the pelvis and thighs. Its optional curved bottom reduces the "hammocking" effect of sling upholstery, keeping the sitting surface level for improved pelvic alignment over time. For use with solid seat pans, a flat bottom may also be selected. 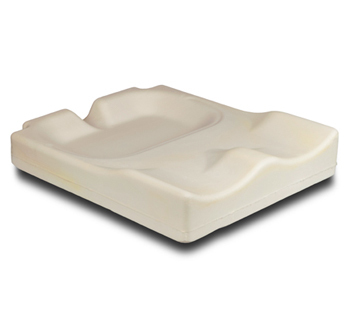 The Easy features a small JAY Flow fluid insert, which conforms to each individual's shape, adjusts to sitting positions, and ensures proper fluid placement beneath bony prominences to help protect the skin from breakdown. 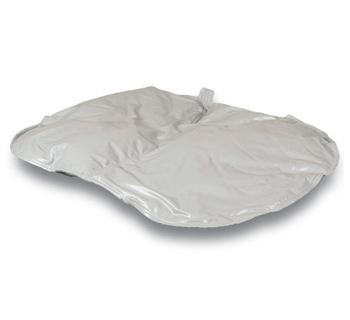 Its zero-maintenance design delivers superior results for the life of the cushion. 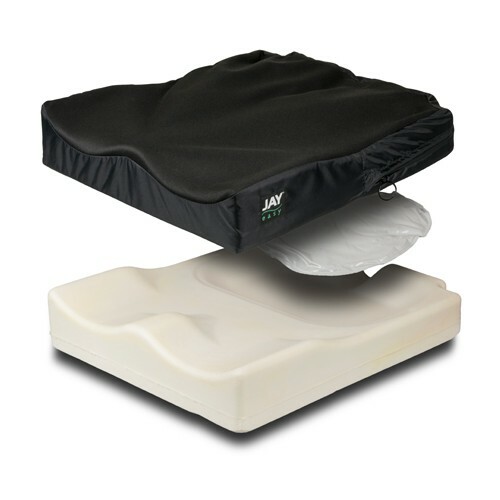 A moisture-resistant cover assists with incontinence management by protecting the Easy's foam base from moisture build-up. 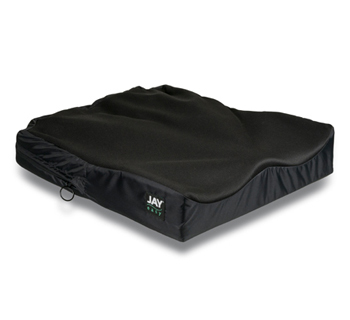 Its no-slip surface keeps the cushion in place during daily use and transfers.